Why Re-Elect Gail for a third term? She has the experience and knowledge that come from being involved in the development of the many significant guiding strategies that will help our city navigate the future. As well, she is keenly aware of what has worked in the past and what has not. While many plans are now in place, the next four years will become critical in the successful funding and implementation of these strategies. Throughout Gail’s 38 years of leadership experience, she has been recognized as a strategic thinker, an effective communicator and a practical voice of reason. Her past experience affords a strong business acumen and fiscally responsible approach. 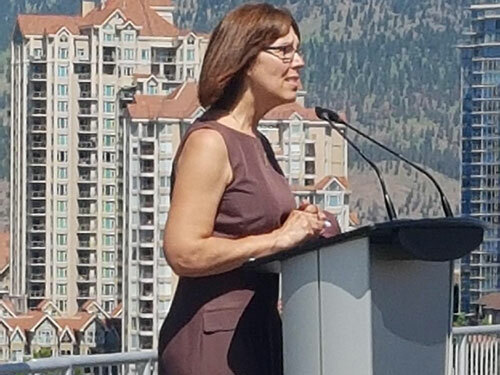 Gail is passionate about using these skills to serve the citizens of Kelowna and hopes that her past efforts and commitment have earned your vote on October 20th. Click here to read about Gail's experience and why she is a great candidate for the next City Council.